Enter the ASPIRE Student Photo Contest | The Pinnacle P.O.V. The official blog of Pinnacle Online High School! 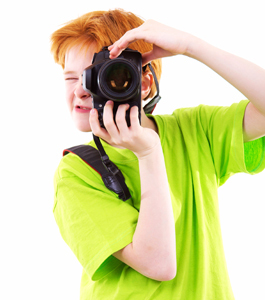 All Pinnacle Education students are encouraged to participate in our first student photo contest. If you’re an aspiring photographer or just enjoy taking pictures in your spare time, this contest is for you. We are looking for photos taken by Pinnacle students that best exemplify the core values of Pinnacle Education: Accountability, Service, Innovation, Respect, & Excellence. We’re searching for photographs that best exemplify one of these core values. What does “Respect” look like to you? Can you capture a picture of “Excellence”? It doesn’t matter what the photo depicts, the photographer just has to be able to tell us why it represents the value which they chose. Interested students must take their photos and post them to the wall of Pinnacle’s Facebook page. Students may submit more than one (1) entry. Interested students should take their photos and post them to the wall of Pinnacle’s Facebook page. Please note, that you must “like” the Pinnacle FB page before you can post any content to or write on the wall. For instructions on how to post photos to the wall, click here. Students may submit more than one photo for the contest. The photograph must be the original work created/photographed by the student submitting the entry. Photographs must be in digital format. Only online entries will be eligible. No print or film submissions will be accepted for entry into this contest. The photograph need not be taken with a digital camera; scans of negatives, transparencies, or photographic prints are acceptable. All digital files must be 10 megabytes or smaller and must be in JPEG, JPG, or GIF format. ASPIRE photo contest | Service | This is a picture of my grandmother making cookies. She is always serving and helping my brother and me. The ASPIRE Photo Contest starts on February 11, 2011, and will officially end on March 31, 2011, at 12:00pm MST. Winners will be notified by April 4, 2011. To read the official contest rules and submit your entry visit our official Facebook page at: www.facebook.com/PinnacleOnline or download the official contest guidelines. ~ by pinnaclepov2224 on February 11, 2011.